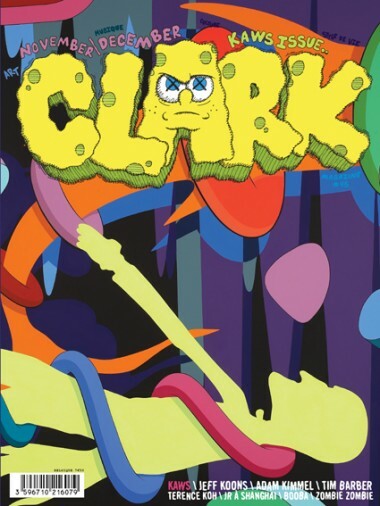 Parisian publication, Clark Magazine teamed up with Brian Donnelly aka KAWS for their Nov / Dec. cover ( Issue #45); and we love it! Incidentally, KAWS will also be in Paris this Saturday for the opening of 'Pay the Debt to Nature' his show at Galerie Emmanuel Perrotin. For a sneak peek of "Pay the Debt to Nature" go here.